We are now taking term enrolments for Term 3, 2018. If you would like to learn drums, guitar, bass, keyboard, ukulele or songwriting, Cory can offer lessons from the comfort of your home. We can offer individual lessons, however if you have siblings or friends who want to learn too, or are simply wanting something a little cheaper, we also offer group lessons at a discounted rate per student. Sibling discount: 1 free lesson per term for each additional sibling. Recommend a friend: If you have a friend or a family member that enrolls for a term, you’ll receive a free lesson! New students: First lesson free when enrolling for the term! Students don’t even have to learn the same instrument in group situations, Cory is a multi-instrumentalist and can run the lesson so that it is like learning in a band. If you live in Coffs Harbour, Woolgoolga, Toormina, Sawtell, Bellingen, Urunga, Nambucca Heads, Macksville or the surrounding towns, enquire today about our Term 3 lessons. Next Post Drum Lessons Starting at Mary Help of Christians School in Term 3! Learn to play a musical instrument with a qualified and experienced teacher who has just relocated to Urunga from St Kilda, Melbourne. 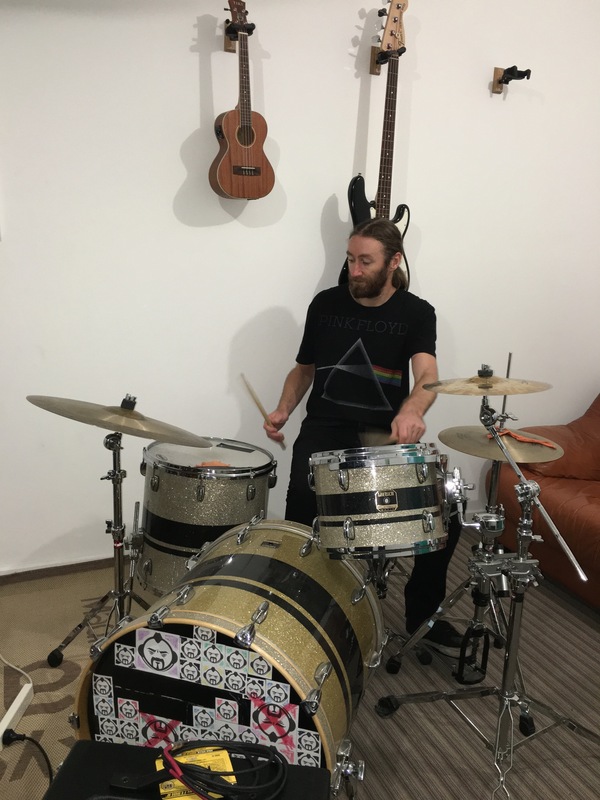 If you are living in Coffs Harbour, Sawtell, Bellingen, Urunga, Nambucca Heads, Macksville or the surrounds, we are currently providing private or group drum, bass, guitar, ukulele, keyboard and songwriting lessons. We also offer band tuition. If your band needs help learning songs or running rehearsals, please get in touch. Our teacher Cory Blight has many years of experience performing songwriting, recording, and teaching, both at JMC Academy, and from his own St Kilda based music studio in Melbourne before relocating to the region in May 2018. We are also looking to provide lessons in your school! If your school requires a teacher to provide individual or group music lessons please get in touch on 0406111999 or info@rockstart.com.au. Rockstart started out in 2009 in St Kilda, Melbourne and relocated to the idyllic Coffs Harbour region in May 2018. Many of our past students in St Kilda had been with us for more than five years. We have found the key to harnessing students’ interest is by focusing on teaching songs they are listening to, and are passionate about learning. We are currently teaching at Mary Help of Christians Sawtell, Scotts Head Public School, and Frank Partridge VC Nambucca Heads, along with offering a limited amount of mobile lessons to students in the area.